As with the countryside, the architecture of the region is varied with Romanesque, Gothic and Renaissance styles. The vivid colours and wonderful climate of the region attracted many artists such as Cezanne and Fragonard. Western Provence includes Nimes, Arles, Avignon, Aix and St Remy. 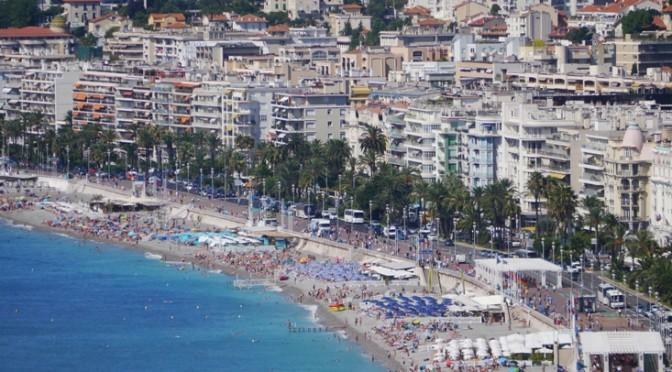 The Cental coastal region of Var includes vast forests and coastal towns such as Bandol and St Raphael. Unlike the eastern Cote D’Azur, this region is less developed and retains much of its old charm. The moutainous regions of Provence include the hill villages of Eze, Gourdon and St Agnes. The Luberon Region includes the towns of Gordes, Joucas, Cadenet and Roussillon. You will also find the villages of Bonnieux, Menerbes, Lacoste and Cucuron, many of which were locations used in the film ‘A Good Year’. Aix-en-Provence is famous for its elegant architecture and could be reagrded as the the centre of Provence. At the centre of the city you will find the famous Cours Mirabeau, a broad avenue with plane trees and stone houses. There are numerous cafes on the Cours Mirabeau and you will also find three main fountains, Fontaine de neuf canons, Fontaine d’eau chaude and Fontaine de Roi Rene. North of Cours Mirabeau you will find the old town or Vieil Aix with its fountain and squares.